An incredible Internet scam was recently uncovered when Japanese film star Maiko Kawakami appeared on a talk show with photos of her new pet poodle. A sharp-eyed host informed the poor girl that her beloved dog was in fact . 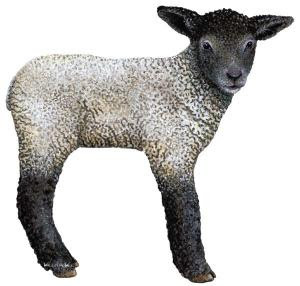 . . a lamb with an elaborate haircut. How could this happen? Well, it seems poodles are quite rare in Japan, and few people know how to spot them. So a criminal mastermind started a website called Poodles as Pets (in Japanese, of course) and began selling "poodles" at discount prices. Thousands of people in Japan couldn't resist. What they received were British and Australian lambs styled to resemble the fancy pooches. As you might imagine, a police investigation has been launched. omg!!! I can't belive that they thought that was a poodle. Man I hate those things!! 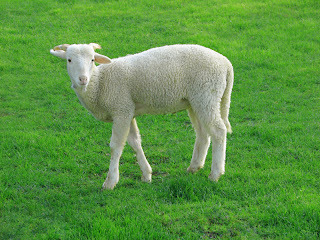 that is one of the funniest things i have herd...but my friend took mt to this site called "myths" and aparently a hairdresser said to a reporter "wouldent it be funny if someong shered up a sheep and sold it as a poodle" and the reporter thought that she said someone DID do that and thats how it started. But i would more like to beleive tha it did hoppen, ha ha!